The South Coast has had its share of well known ball players grace its soil over the years from Moonlight Graham to Mo Vaughn. There also have been the occasional Hall of Famer to pass through these parts. Walter “Rabbit” Maranville was one of those players. His major league career began in 1912 and lasted 23 seasons in which he batted .258 with 28 home runs. Okay, so he played about half of his career during the dead ball era. Still not exactly Hall of Fame numbers. His highest average was .295 in 1922 for Pittsburgh. His Hall of Fame selection in 1954 was the result of his glove work. Primarily a short stop, his fielding average was .956. He committed 711 errors in 15,380 chances. Which I believe comes out to only about a 5% chance that he would make an error when the ball has hit to him. Maranville spent the 1911 and 1912 seasons with the New Bedford Whalers of the New England League. He was hitting .283 when the Boston Braves purchased his contract for $1,000 sending him on his way to the Hall of Fame. ‘Where do you get that Rabbit stuff?’ Maranville responded. For an interesting story related to Rabbit and the 1914 Boston Braves caps pictured below, check out the Baseball Reasearch blog. 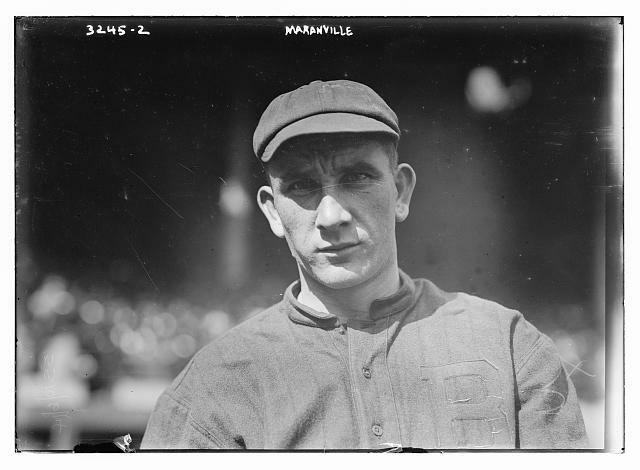 For more information about Rabbit Maranville check out his bio on the SABR Baseball Biography Project and check out his stats at on Base Ball Reference and the Baseball Almanac. You can also read about him in the book Run, Rabbit Run: The Hilarious and Mostly True Tales of Rabbit Maranville by Harold Seymour. Get it at your local library! I am currently reading a published diary of a minister named Thomas Robbins who lived from 1777-1856. Insight into people’s lives and how they lived can be readily gained through diaries and journals. And I really like to pry in to people’s personal lives! But to be fair, I wait at least a century or so after they die before opening their diaries. I also like to read them because, as a member of the Society of American Baseball Research, I am associated with the origins committee of SABR. The Origins people are studying the early history of the game and looking at pre-baseball type gamesfor clues as to where our current game originates. Through journals and archival material , I look for references to bat and ball games such as trap ball or phrases such as “played at ball” or “game of ball”. But back to Robbins. He began his diary in 1796 and more or less kept it day in and out until 1854. 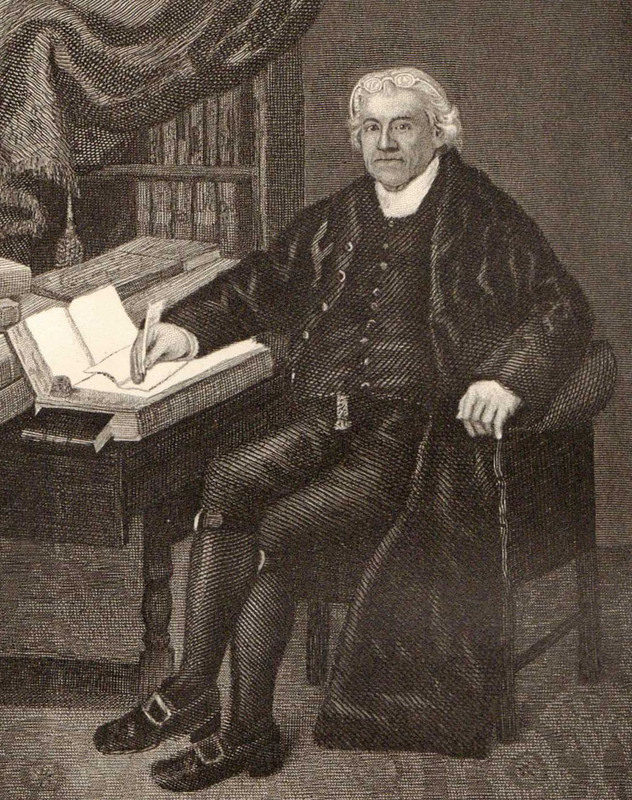 He began the diary the year he graduated from Yale College and spent the next few years after college teaching, preaching and studying theology. In 1803 he went to Ohio which had just entered in to statehood to organize churches for the Connecticut Missionary Society. A few years after that he preached in a few towns in his home state of Connecticut before coming to the South Coast to replace his uncle as Congregational minister in Mattapoisett in 1831. March 28, 1839: “Fast… Some playing ball… Thermometer rose to 70”. Fast is referring to Fast Day. It was a public holiday consisting of fasting and prayer. In Massachusetts it was replaced by Patriots Day in 1894. In 1858 there were several baseball clubs that had formed in New Bedford. Some had played games on Thanksgiving Day that was reported on by the local press. The Evening Standard began their report on the game “From time Immemorial Thanksgiving and Fast days have been set apart for ball playing…” Not only does Robbins’ diary support the Evening Standard’s statement about ball playing having long been part of fast day activities, it suggests that it could have been baseball the people were playing in Mattapoisett. Then again it could have been Wicket which was popular in Robbins’ home state or some other ball game. If you haven’t yet, check out the article on local legend Lefty Duval by Buddy Thomas in today’s Standard Times. The baseball history world is shocked to learn of the death of one of its notable historians, Frederick Ivor-Campbell, who was killed in the tragic and senseless automobile accident on I-195 this past Friday. Mr. Ivor-Campbell was a supporter of my efforts to establish a vintage base ball club in the area. He came to Mattapoisett in August of 2007 to see the vintage ball game as part of Mattapoisett’s 150th anniversary celebration. I was surprised and delighted when he approached me just before the game and introduced himself along with his wife Alma. 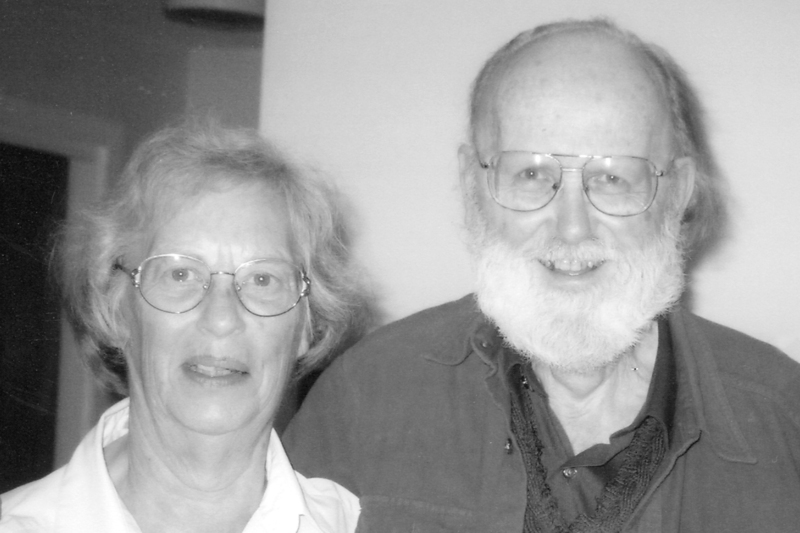 He vaguely remembered Mattapoisett’s 100th anniversary and fondly recalled the difficulties of visiting his wife in Marion before they married due to lack of transportation. I jokingly offered to put him in the game at third base which with good humor he refused. I have had the pleasure of corresponding with Mr. Ivor-Campbell over the past few years from time to time, sharing information about the early game of baseball. He has been a source of inspiration for me in my research and encouraging me in my pursuit of my various research projects. 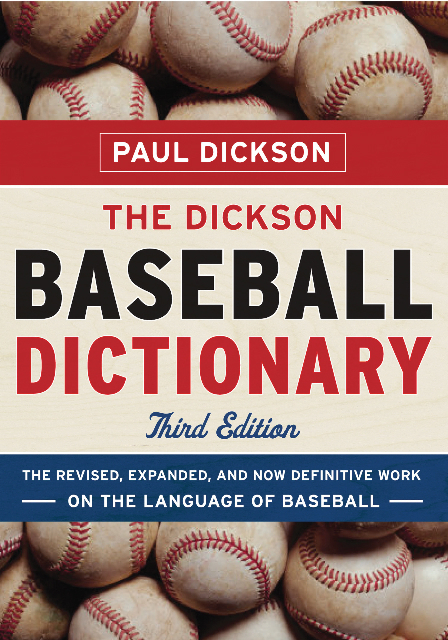 He was a member of the Society of American Baseball Research and was awarded SABR’s highest honor, the Bob Davids Award in 2003. While research in to the early game of baseball appeared to have been a passion of his, he once admitted to being distracted by good weather and new books at the public library. That is something I can related to and appreciate. His wife Alma was injured in the accident and I understand she is in good spirits despite the circumstances. I hope for the best for her and their family.